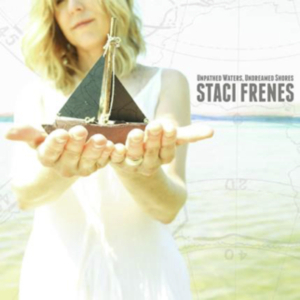 Music has been Staci Frenes’ saving grace for as long as she can remember. 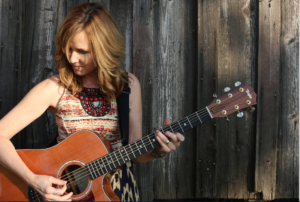 As both a songwriter and performer, the former UC-Berkeley graduate and English teacher has inspired concert goers and television audiences—from The Biggest Loser to America’s Next Top Model to All My Children and Nashville—alike. Her songs have also been included in nationally-released feature films. 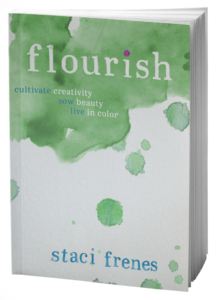 An author and in-demand speaker, in 2015, Staci penned an inspirational book about the ‘art’ of flourishing, focusing on giftedness, nurturing those gifts, and finding joy and purpose in life. Staci resides with her family in San Francisco, California. What started you on your musical journey? Who were your musical heroes? When I was little I wrote poems and stories. But something musical awakened in me when I was around twelve, when I became a Christian. The words I was writing started forming into melodies. I asked my parents for guitar lessons and started to write songs before I knew anything about music. Songwriting in those awkward teenage years was my lifeline. It’s how I processed the confusing stuff. It’s how I expressed my gratitude to God, and learned how to praise Him. And since I’m pretty much a textbook introvert, I found songwriting to be a safe way to share my thoughts and feelings with others. I grew up listening to my parents’ 70’s records: Simon and Garfunkel, Joni Mitchell, James Taylor, Carole King. To this day I love listening to pop/folk music that sounds great with just a voice and a guitar. God often sends us down a path we wouldn’t have chosen, but one that blesses us in an unexpected way. Have you ever experienced such a “Divine Detour”? I’ve had lots of those! Several years ago I made a trip to Nashville for a week of showcases aimed at getting a record deal with one of the big labels. The shows went great, and a string of meetings with several label executives followed. While they all had good things to say about my music, I went home to California without a record deal. What followed was a six-month long depression. I thought God had said ‘no’ to my deepest desire and longing to share my music with others. I was devastated. After that rough six months, I decided (along with my business partner-husband) to start my own independent record label and publishing company: Stone’s Throw Music. It was the best thing we ever did. I’ve learned how to manage so many facets of the music industry I never would have learned otherwise. And while it’s been hard work and unglamorous most of the time, it’s been incredibly rewarding. God hadn’t said ‘no’ to my gift or my calling; I believe He wanted me to learn how to develop and nurture and invest it in deeper, richer ways than I had imagined. Let’s talk about your new album, Unpathed Waters, Undreamed Shores (Artwork Records, December 2016). Please tell us about it. Some days it felt suffocating and hard to breathe. Other times I just felt numb. I thought of the Psalms, how David cried out to God in despair, and then praised Him in the next breath. When I started writing songs for the new record I knew some of them would be about the painful things I’d been through. But I also knew that hope and God’s faithfulness would be at the core of the record. What was the foundation song for the project? How many of the songs did you write or co-write? The first song I wrote (and title track) on this album is “Undreamed Shores.” The metaphor for the whole album is one of moving water, and how it represents change and the passage of time. We can’t control the forward motion of our lives, the unexpected twists and turns. But we can lean into God’s faithfulness and trust His goodness in the midst of it all. I wrote most of the songs and my producer, Nate Sabin, co-wrote a few with me. We worked on the songs together in his studio in St. Paul, Minnesota last spring and summer. It was a creative and fun time — my favorite part of the whole process is fine-tuning the songs and coming up with arrangements. And I love what we ended up with. The music helps tell the story of this record so beautifully! Yes! It’s a book about how to cultivate a life in which our gifts and talents find their full expression. I wanted to share stories and insights about my own creative experiences as a songwriter, but also include the stories of other kinds of creativity. My Nana (my mother’s mother), for example, was a professional seamstress. She sewed for clients, friends and family and I felt her love and her unique personality in the clothes she made for me. I believe that when we nurture and develop our gifts, and offer them to the people and opportunities God places in our path, we discover a deep-down joy. We flourish! Understanding that I am made, loved & intimately known by God is crucial to doing what HE calls me to do. What is your favorite comfort food and why? Anything cheesy and full of carbs! Lasagna or pizza are my go-to comfort foods. I love Ephesians 2:10. “We are His workmanship, created anew in Christ Jesus that we might walk in the good works He prepared for us beforehand.” I love the two parts to that verse. The ‘being’ — His workmanship. And the ‘doing’ — good works. It’s taken me a long time to not skip right to the doing! But understanding that I am made, loved, and intimately known by God is crucial to being able to do what HE calls me to do. Not out of a need for affirmation or love from others, but from my identity and belonging to Him. In the story that is your life, are you the strong, female lead; the girl next door; the mysterious woman behind dark glasses; the super heroine; or the little girl trying to walk in high heels? I’m the girl next door with a super-heroine secret identity! J So while I’m generally very shy and reserved in most gatherings, I come alive when I get on stage and sing or share my story. Somehow on stage I feel more free to be vulnerable and expressive. Go figure. Don’t judge me, but I’m usually the one person in my family that everyone else has to convince to let them get a dog. Our last pet broke me down, though, and made me believe I could be a dog-lover. He was a gentle, sweet yellow lab named Jazz. Give him a long walk and a good bone to gnaw on for the day and he was in HEAVEN. Thank you, Staci! It’s nice to have you as a guest at DivineDetour. For more information about Staci, visit her website and/or follow her on Facebook or Twitter. Learn more about Flourish here.